I was looking at Frogg Toggs but can’t find them locally. Any suggestions for overpants to keep dirt and bleach off my normal clothes? Dicks sporting goods sells froggtoggs. You can buy the pants and jacket individually or as a set. Be sure to pay attention to elastic cuffs or not. Matter of preference but makes a difference. I buy all my Frogg Toggs on ebay for myself and all the guys. New without tags, worn once, brand new. The deals are there whatever you choose. I pay about $10 for pants and under $20 for jackets. Walmart outdoor series wranglers. 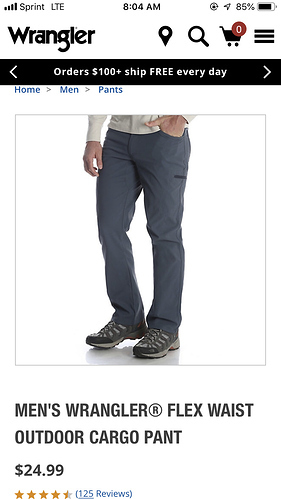 They’re fleece lined hiking pants. Polyester. Won’t bleach. Wear them everyday. Stretchy. Comfortable as all get out. $19. Cut the fleece out of a couple when it gets hot. Getting wet all day under 60 degrees you’ll be glad it’s there. They also breath a lot better than my toggs and my toggs have mud stains. They look awful. Try a pair of these for the summer. 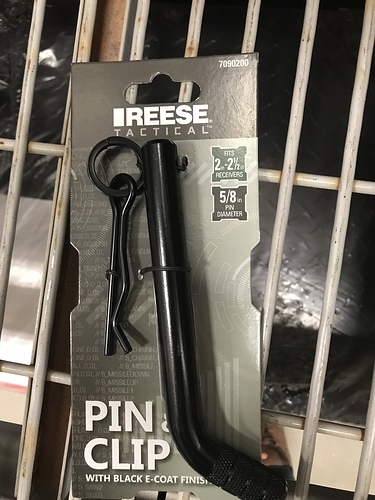 They come in all colors, are lightweight, and have some sort of teflon coating to repel liquids. (You can’t tell there’s a coating) So far I’m pretty happy with them. You can even get them with a ccw pocket so are nice to wear at other times too. You had me at ccw pocket. I found this at Lowes yesterday. 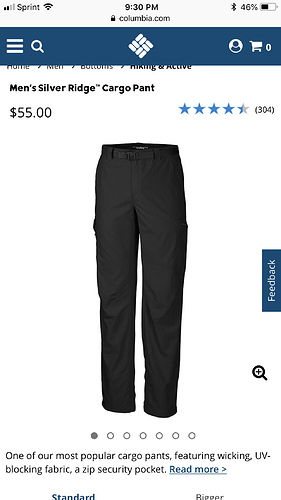 I don’t think the ones above have the pocket but just search for tactical pants and the description will tell you if they do. I’ve had some sh get on them and it’s not very noticeable at all with the khakis. Enough to where you can keep wearing them and nobody is going to see it. I think it was only about 2% though. Not sure about how other colors resist it. I think I might get some other colors just for everyday non washing pants. I really like them. This is the kind i have! Love them, however i didn’t pay $55. I have a Columbia sportswear outlet by me and found them on sale for $20. Bought 3 sets so I am set for awhile! If you ever come to Florida let me know. I have a hookup at the outlet and get an additional 30% off since I use to work there! Are all the colors sh proof or just the tan? Careful posting stuff like that in public! They will try to ban assault hitches! This is what I wear, but in black… although the SH is really wearing them out. I have them in gray and wash in them every day. Can’t tell one bit. SH hasn’t phase them.